Britt Peck is an event manager by day for The Goodman Speakers Bureau and a visual branding strategist by night helping female entrepreneurs bring their vision to life. She lives in Connecticut with her new husband, Zach, and her dog, Gabby. She’s passionate about fitness and has found her “soulmate workout” in teaching Turbo Kick. She also loves hanging out with her new niece, Zoey. Britt is a natural encourager with a profound and contagious desire to see others experience the love of Christ. 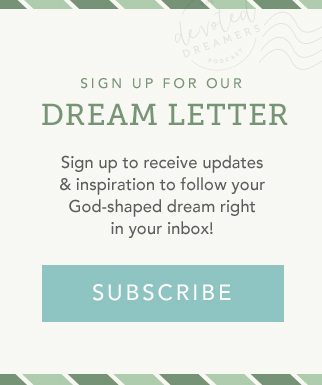 IF YOU’RE STRUGGLING TO FIGURE OUT YOUR GOD-SHAPED DREAM, THIS IS THE EPISODE FOR YOU. In our conversation, Britt talks about following a God-shaped dream a few years ago, which led her thousands of miles from home into a world that was completely unknown to her—ministry in the brothels and strip clubs of Las Vegas. 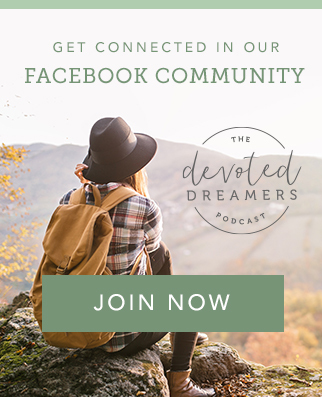 Since that season has come to a close, Britt shares the challenges of living in the “in-between” and listening for God’s direction over the lies that her value and worth have anything to do with her performance. A high energy person who thrives on busyness, Britt is learning what it means to just be still and allow God to replenish her spirit. She shares the Bible verses that keep her grounded and help her battle negative self-talk while she waits for God to reveal what’s next. You can subscribe to Momentum & leave a review on iTunes or Stitcher Radio.